Our author services can help you sell more books. 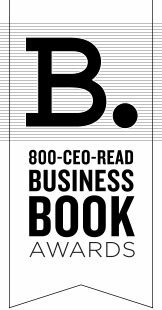 How Can 800-CEO-Read Help Authors? We work directly with authors to help get boxes of their books as reported sales to the companies and events they're involved with. We're a service and logistics company, experts at getting shipments to locations around the world on time, with a team on staff to track and help every step of the way. To help get your books noticed and the sales accurately tracked, we report our sales to The New York Times and Nielsen Bookscan every week and our own monthly bestseller list. Our list is also syndicated through the McClatchy-Tribune News Service that distributes to media sources across the country. One of our experienced customer service team members will manage your order personally: Any questions? Just call 800-236-7323. We’ll get your books where they need to be, when and how you need them. We excel at managing high-touch orders of over 10 books. You may need 100 books to arrive by a certain date. Or you may need 1000 books to arrive at multiple locations over the course of two months. Or you may want to send a copy of your book to 200 individual recipients. We’ll take care of you. We can help you provide your audience with a unique copy of your book, including customizations such as tipped-in pages, book bands, signed book plates, custom inserts, and stickers. Add sponsor or presenter logos, a quote from the book, or any other personalized message to make your book special to attendees or recipients. Tipped in page - our designer works with you to provide a customized page insert for your book. You provide a logo and copy and we design the page around that. Tipped in pages are bound into the book and look like a normal page. $2.00 per additional page and a one time $75 setup fee. Additional shipping fees do apply. For quantities of 500 or higher, please call or email for a quote. Book bands (belly band) - A printed strip around the outside of the book for logos of sponsors, information about the event or other details. $2.00 per book. PDF example. For quantities of 500 or higher, please call or email for a quote. Signed book plates - We can add book plates into every book in your order to make it easier facilitate book signings. Can include custom copy and logos. $1.00 per book. Cover sticker - We can add a sticker to the cover of your books. Can include custom copy and logos. $1.00 per book. Custom inserts - Have an accompanying DVD or CD you would like to insert into the back of your book? Call for pricing. In addition to modifying or customizing your books, 800-CEO-READ offers customization of the complete order process. Shipping 500 books to a single address is a breeze, and we can handle that for you. If you need 500 books shipped to 500 individual addresses, we can do that too. And you need a letter included with every book? We'll take care of it. All you need to do is provide a clean list of recipients and select the shipment method you prefer, and we'll take care of the rest. What does a 'clean list' look like? Download a list template to get you started. If you're unable to provide us with a tidy list, but you still need to have your books shipped individually, 800-CEO-READ can properly format your recipient list for a fee of $75. Contact Michael to find out about our shipping rates for individual book fulfillment (or if you have any other questions about customizing your order).